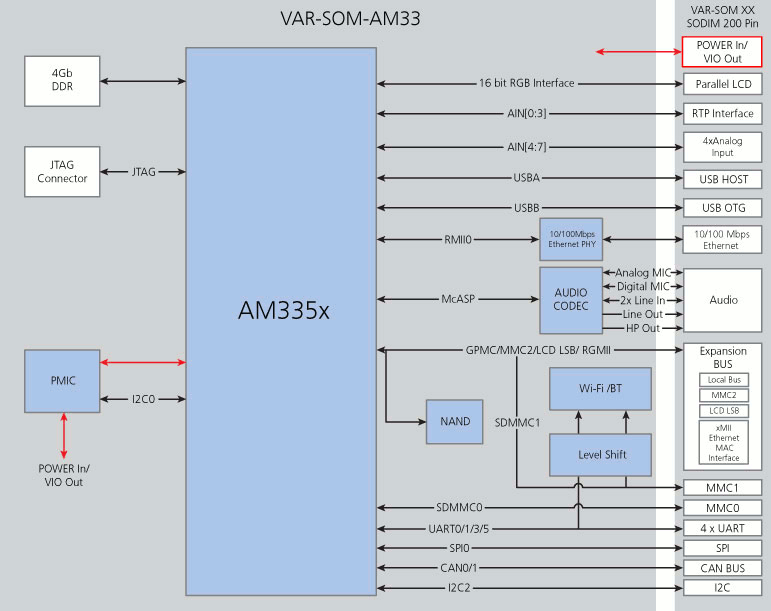 Variscite has announced a new system-on-module based on Texas Instruments Sitara Cortex A8 AM335x processors (AM3352 or AM3354) named VAR-SOM-AM33, which sells for as little as $39 US (in large quantities I assume). This SoM is available in commercial and industrial grades, and the company expects the module to be used in applications such as automotive, control systems, lighting, refining and processing. Variscite provides Linux 3.2.0, Windows Embedded Compact 7 and Android 4.0.3 (ICS) BSP for this SoM. At least part of the documentation is made public such as the module datasheet and mechanical design files (DXF and 3D), the carrier board reference manual and schematics, as well as a Linux 3.2.0 Wiki explaining how to install the SDK, building u-boot and the Linux image among other things. VAR-SOM-AM33 modules and carrier board are available now via Variscite sales. You can find more information including the documentation mentioned above on Variscite VAR-SOM-AM33 page.